The 2014 World Junior Championships came to a close on Sunday in Malmo, Sweden. 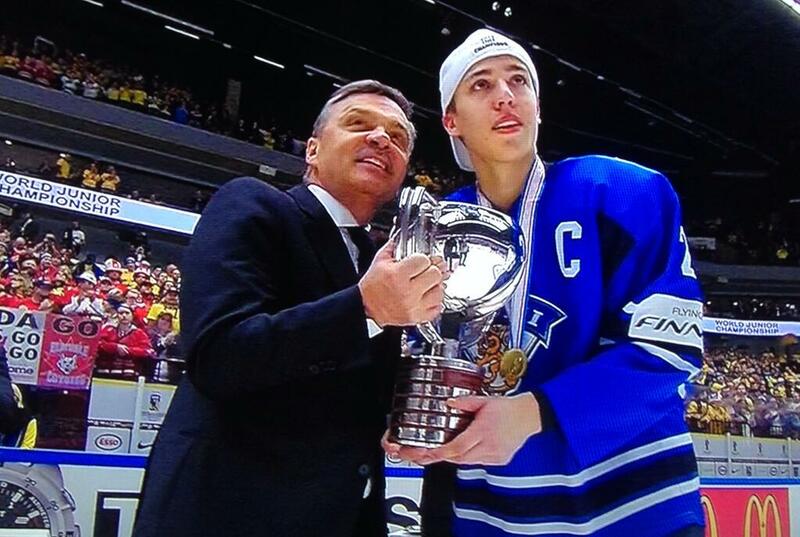 Then the medals were handed out after a great gold medal game, Blackhawks prospect Teuvo Teräväinen was a star among stars. Teräväinen was the captain for Finland, and led the WJC with 15 points in seven games. He had assists on all three of Finland’s goals in the gold medal game, and the coaches in the tournament named Teräväinen one of the three best players on the Finland roster after they eliminated Canada. He was also named to the media all-star team at the conclusion of the tournament. Damn he was incredible the whole tournament. Just need to put on a couple of pounds to next season. Did they give the mvp to the home team player, yea he really was as dominate as T was throughout the tournament. Ha, Millburry would be proud they gave medals to the refs for calling 5 penaltys in a row against Finn’s and they still did what they did. Couldn’t be more proud of Finn for winning the way they did the last few rounds. J.C.–couldn’t agree more about TT-either next year or the year after he will be a top six and you can’t have Kaner and him together due to size and skill set. Regardless, when he is strong enough he solves the top six-second center dilemma that has created so much discussion on this site-but we have to be patient. great game for the fins. they had to fight thru 5 consecutive penalties against them to get to overtime and the win 3-2. sweden got 2 goals on powerplays, but were held scoreless 5 on 5.
tuevo looked good all tournament even in places the numbers wouldn’t show. he played on the pp but also the pk. he stole the puck quite a bit on the backcheck and was pretty good on the dot. he can stick handle in a way that will remind people of kane but his defense is better. 1. the fin goalie, juuse saros, who was amazing and the better goalie in the game, despite what the tournament officials decided. 2. mvp of the tournament and swedish star, philip forsberg, tied with tuevo in points heading into the game, but finished second to him overall. 3. saku maenalanen (finland) the leading goal scorer of the tournament. I’m happy TT had such a great tournament, even though my family is from Sweden and I always root for Sweden if the US can’t win it. Definitely has high end skills but as others have pointed out he is still too slight to take the pounding he will get in the NHL. 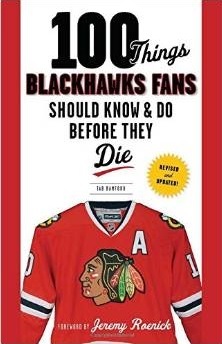 It seems more likely he will play in Rockford next season than with the Hawks. Hopefully his success in the WJC helps to propel his game when he gets back with Jokerit. I thought the other three prospects- Hartman, Hinostroza and Norell all looked pretty good too. None of them stood out like TT but then none of them had as big of a role with their perspective teams either. All show promise and it will be fun to follow their development over the next few years. Tab- thx… You forgot TT was a + 12 !!!!! AND Forsberg gets forward MVP/Homer!!! Their loading the T train now with fuel. It departs Finland in a few months. It was a fun tournament to watch. TT will be a player to reckon with and the Finn games I saw left me impressed with what this kid can bring to the table. Excellent puck skills, ice awareness, 2 way game, and very good speed that will only improve as he gains physical strength. This kid will be our second line center I am sure. The question is when? The Hawks drafted very well when they saw how gifted this guy is. TT had a great Tournament and I was happy to See the Finns beat Sweden (the coach for Sweeden was an idiot). If Canada or the USA can’t win I always cheer for the Finns as they play a lot like North American hockey. Oh also the Russians didn’t deserve any medal after that BS they pulled at the end of their semi final with Sweden. To ER, respectfully, there’s no way TT will play in Rockford…when he’s ready, he’s coming straight to the Hawks…likely next September. Brad, I am sure you are right about TT coming straight to the big club when camp starts next year. That’s as early as he can get here anyway I’m pretty sure due to obligations to Finn team he currently plays for. I think the kid is one of those special players. Wish we had him over here right now. When TT is “ready” is the big unknown. We all drool over his potential but until he proves he can handle the physicality of the NHL – especially at the center position in the Western Conference – we really don’t know if he will be “ready” next season. If he’s not ready for the NHL at the start of next season, then playing in Rockford is preferrable to having him stay with Jokerit, especially because Jokerit is moving to the KHL next season. It would be better to have him gain strength and confidence AND get aclimated to the smaller ice surface than to have him play in Europe or KHL. Hopefully he breaks camp with the Hawks next season, but I won’t be surprised in the least if he’s playing for the Hogs next season. ER, I think TT will be wearing the Indianhead right out of the gate next year, but that is just my prediction. Like most things in life, good things are worth waiting for! 3. Continue to grow playing with men…this tournament was against boys his age. In the Soummen Mestari this year he has 17 points in 29 games. He will be a great player but he is not really putting up huge numbers against men yet. Somebody correct me if I’m wrong, but can’t TT actually suit up with the big club for up to 9 games at the end of the Finn season? AND even more encouraging – almost every player on that list turned in a Darn Good NHL career!!! “the numbers” are in his favor to have a nice NHL career!!! AND the sooner he is paired w/ High skilled/high IQ players… The Better!! !